Yes, wheelchairs and strollers may be borrowed from the admissions area if required. Please note that wheelchairs and strollers are on a first come, first served basis, and cannot be booked or reserved ahead of time. You will be required to leave your ID behind for the duration of the hire while the wheelchair is in use. 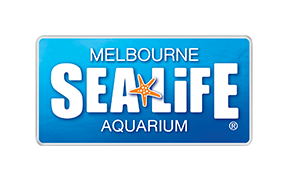 SEA LIFE Melbourne provides wheelchair and pram users full access to all exhibits. Each floor of the aquarium is accessible via either a lift or ramp.